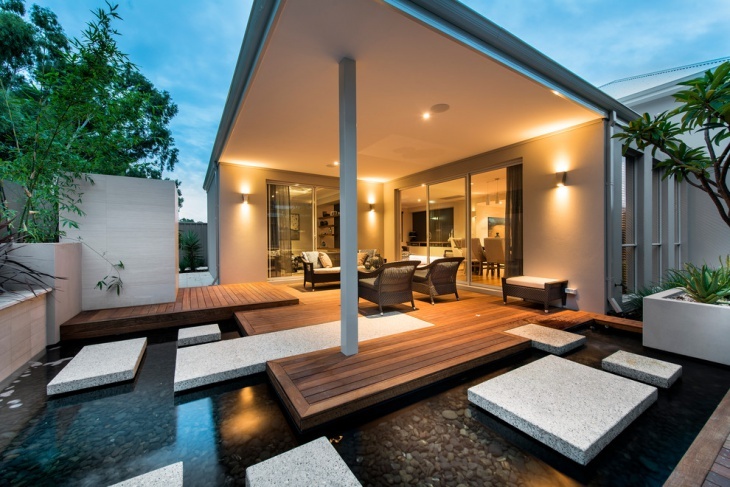 The ideal Platform Deck Design should provide somewhat of a haven where you can escape the chaos or drab feeling of the indoors. 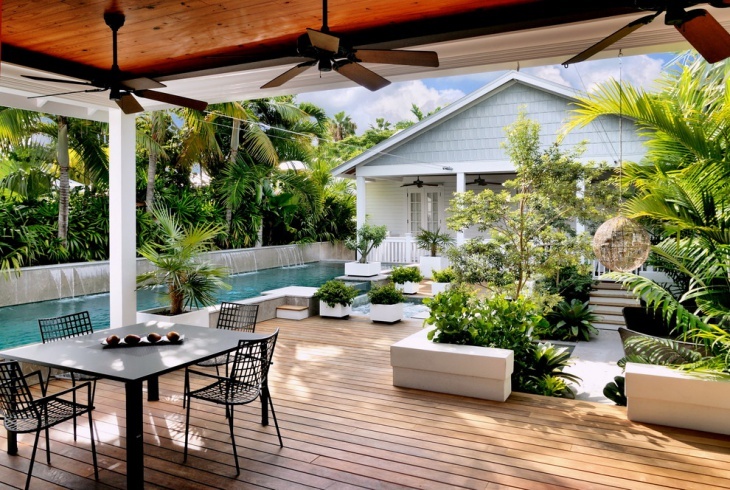 Mediterranean Deck Designs are particularly well known for their Zen, whereby here you can entertain or simply enjoy some alone time in deep meditation. There is a host of designs to choose from ranging from the lavish expensive type of decks to simple decks with a rustic flair. 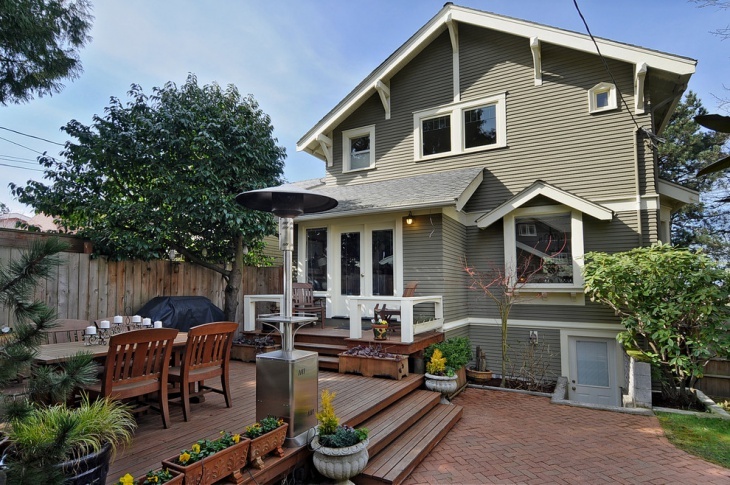 This decks flows perfectly from the interior of the house forming an outdoor/indoor dining area with a kitchen included! 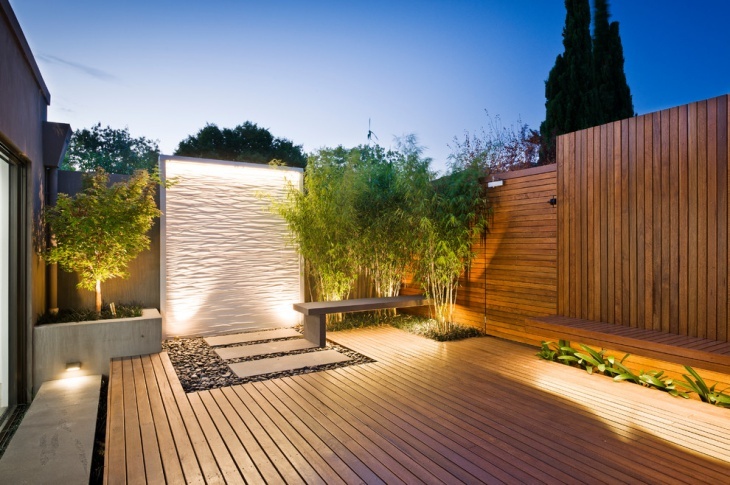 The tile border around the deck is a nice touch, together with the lighting and wood trims which are explicitly done. 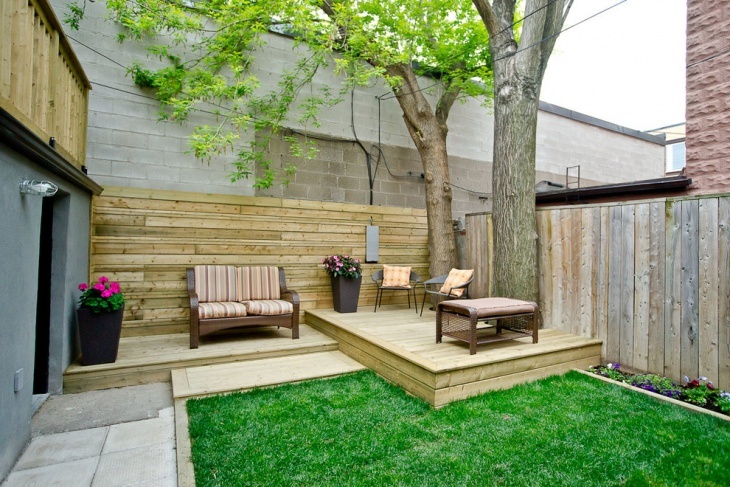 This deck design is on the smaller scale ideal for those who don’t have a large backyard or those who would love to have a deck without incurring huge costs. 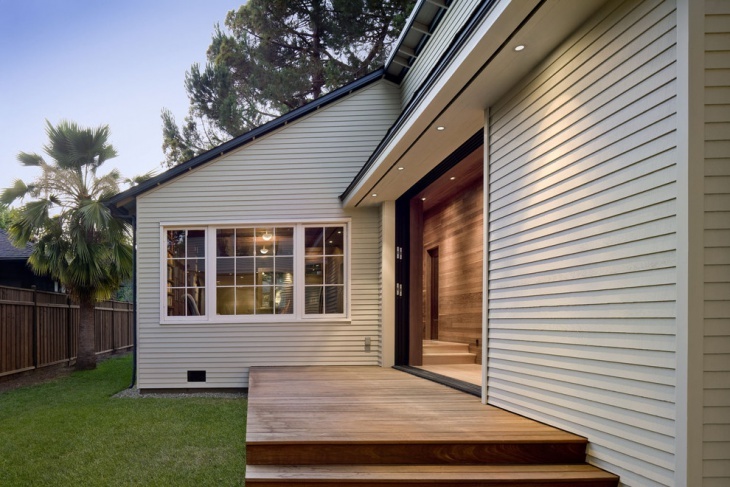 The small recessed lights in the eave give the whole setup a contemporary vibe. 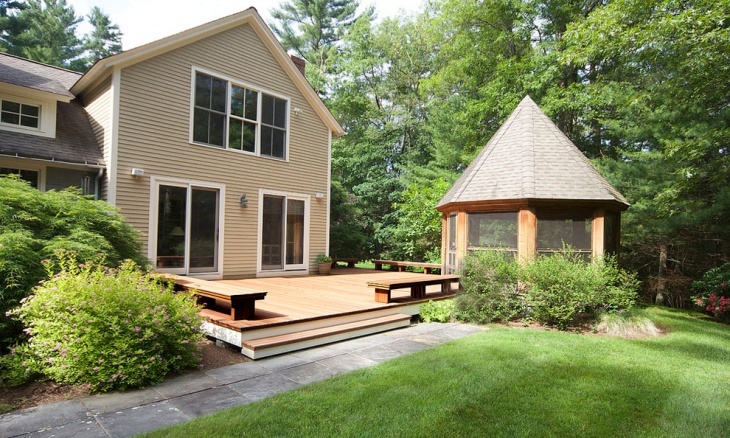 Proximity to the water necessitated the installation of a partially floating deck offering great views to the lake and woody forest beyond. 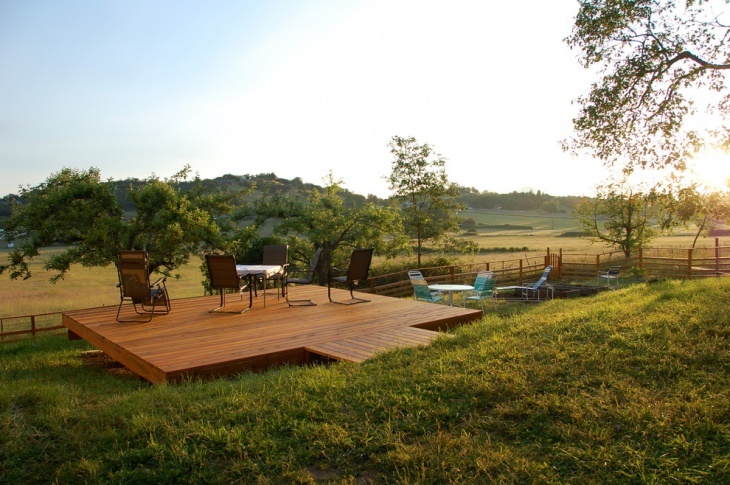 The deck extends seamlessly from the grass and the rustic wood used enhances its subtlety making it blend in with the surroundings. This is one of the decks that simply scream ZEN. 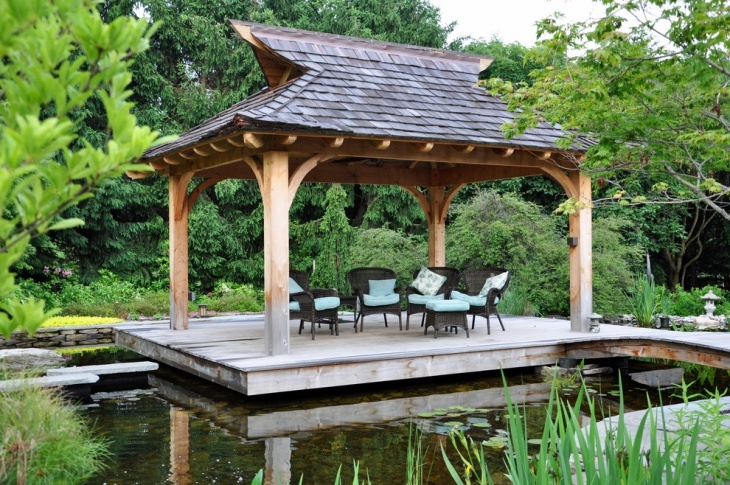 This pagoda looks way better than a pergola and its setting within a pond gives it an illusion of floating. 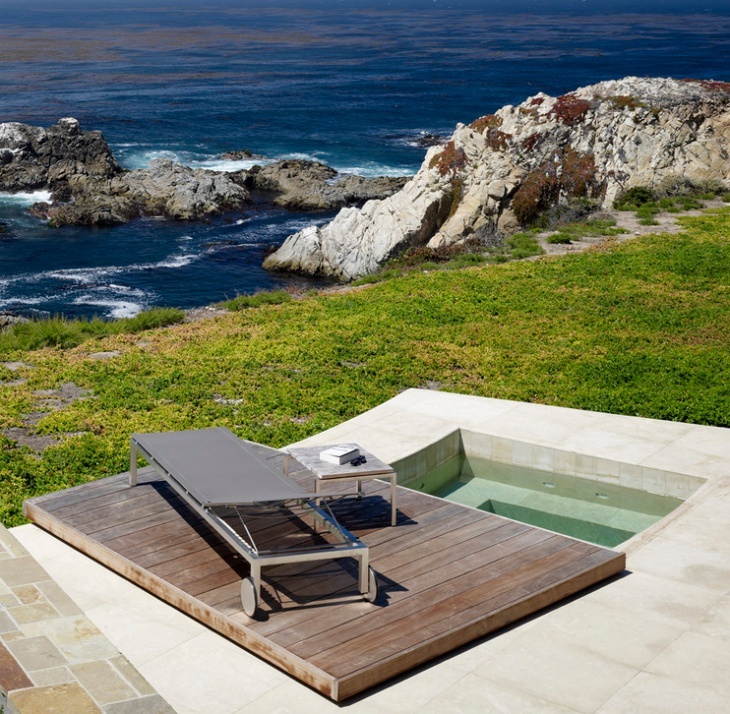 What better way to enjoy the outdoors than to imagine yourself floating in the midst of nature? First off, you have to admit that this woodwork is incredibly well done. 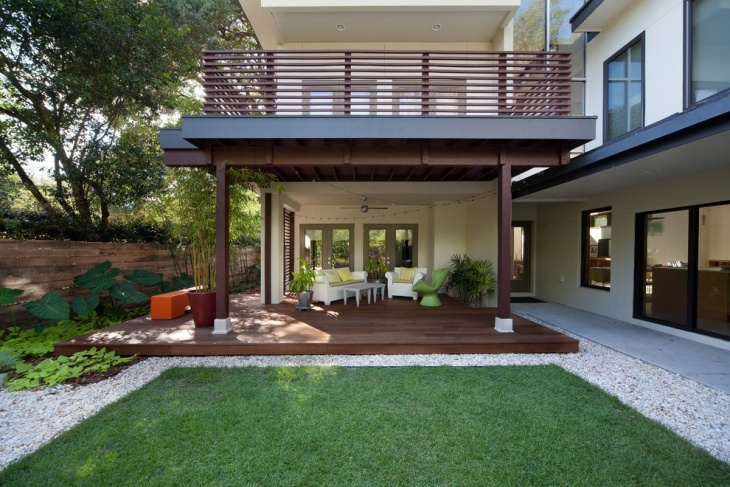 The idea of combining a deck and patio in a multilevel setup is brilliant. For the purposes of privacy and setting the two apart, the deck has been screened off in clear cedar. 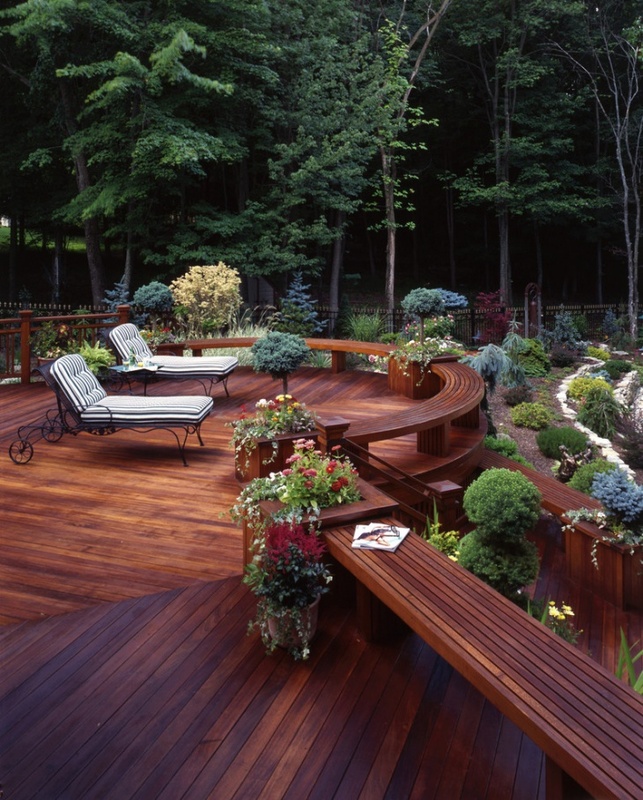 This deck looks sophisticated and it flows perfectly from the rest of the house. The transparent glass pane allows for interaction of the indoors and outdoors and the recessed floor lighting is a great addition. 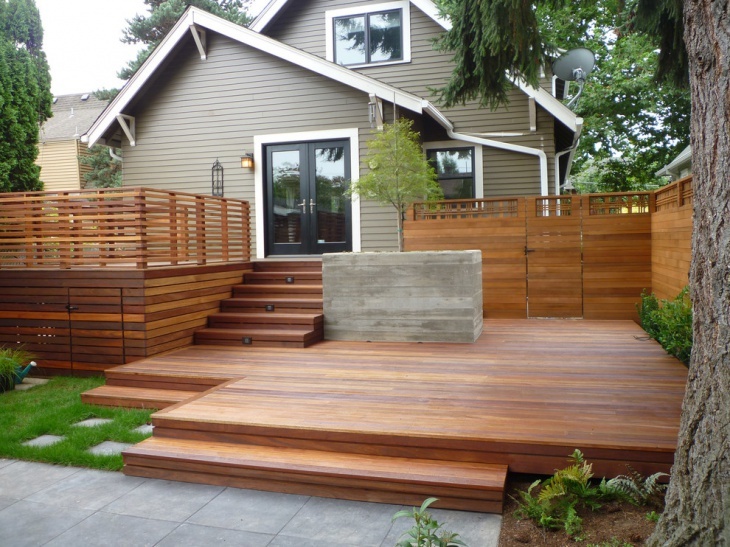 This looks exactly like the Rustic Deck Designs one would find at a cottage or cabin in the woods? 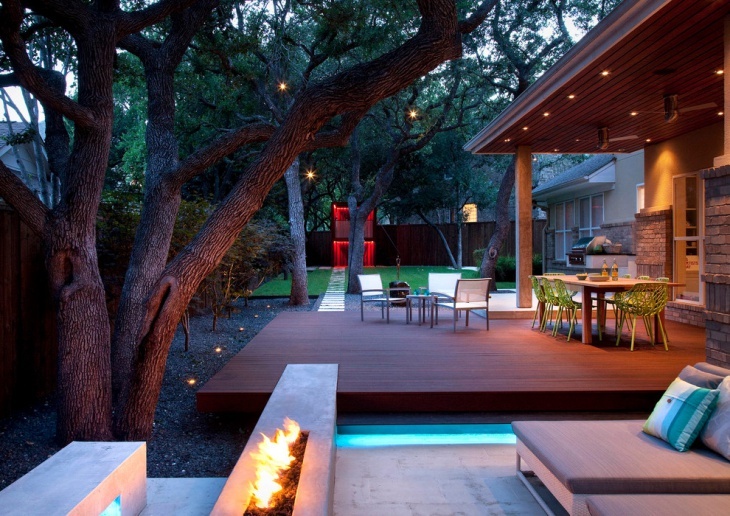 The setup is simple and serene and the steel cable railing around the edge of the deck looks better than using wood. The low benches all round this gazebo offer a clever way of demarcating the space as opposed to using a fence all round. The screened gazebo blends in perfectly with the entire setup. Don’t you just love the mood created by the recessed LED lighting? 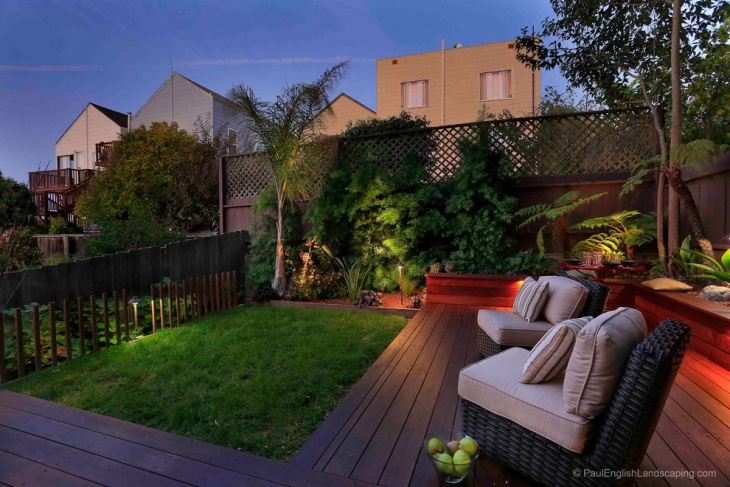 The lighting at the plants is also a great addition as is the choice of furniture, giving this deck a cozy relaxed feel. 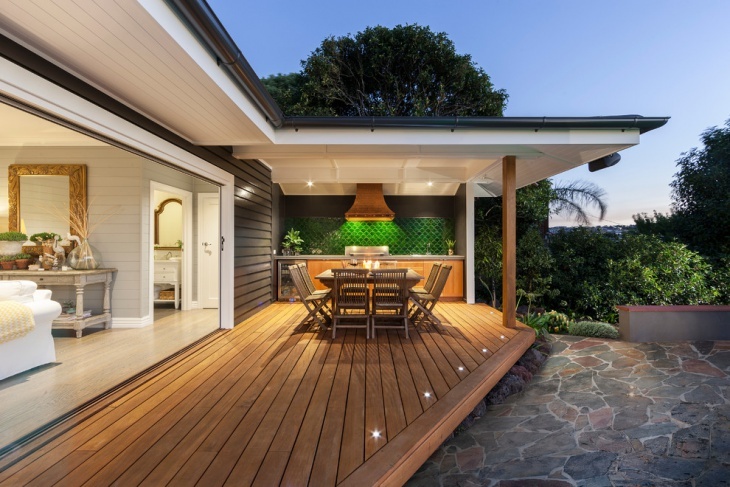 At the end of the day, a deck should be your very own peaceful space and as such the décor, choice of furniture and finishes should reflect the same. 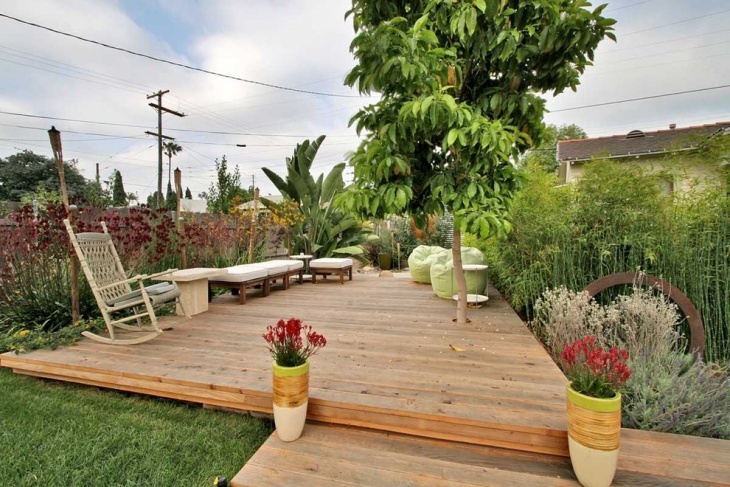 Who said you need a large backyard to be able to fit a lovely Platform Deck Design? 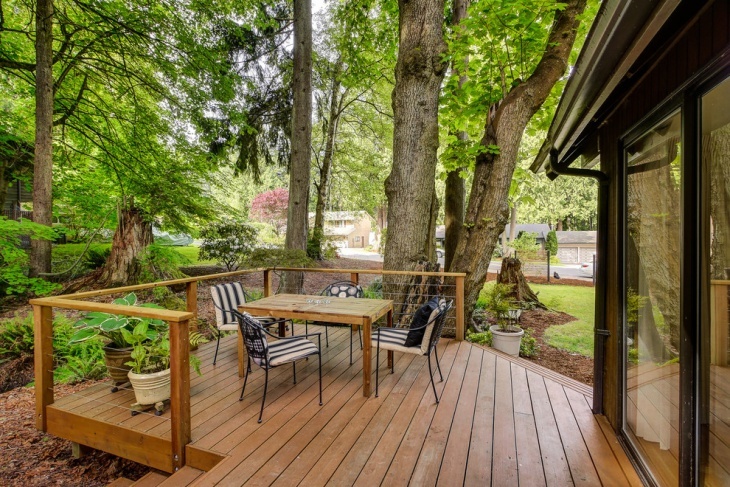 As seen from the above, even tight spaces can give rise to Amazing Outdoor Deck Ideas.